Contains 2" foam dice – one numbered, one dotted. Use with Poly Markers for a game like "HORSE." Or set-up a color-coded activity station! 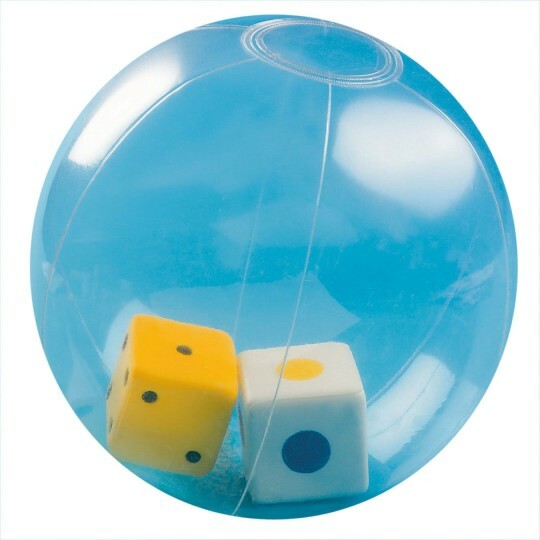 Just roll and go with this fun new activity ball. Our inflatable 8"-diameter ball contains two 2" foam dice – one classic numbered dice, one with 6 different colored dots. 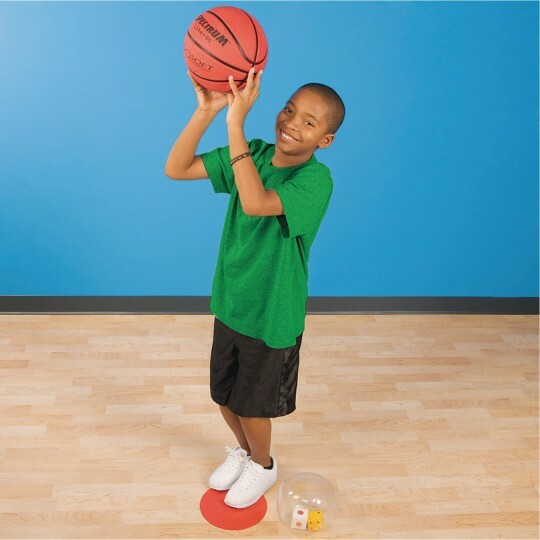 Use with Spectrum™ Poly Markers for a game like "HORSE" or set-up a color-coded activity station. The Go Ball determines where players go. An activity sheet is included, but the fun possibilities are almost unlimited!